Characterful, spacious and comfortable 1950s bach. Glorious sea views and a lawn drenched in all-day sun. Occupants are required to bring their own sheets, pillow cases, towels and tea towels. The bach is an easy 5 min amble to beautiful Coopers Beach; or a 10 min stroll to the summit of Rangikapiti Pa, with incredible 360 degree views of the surrounding bays; 15 min walk to local shops, including well-stocked supermarket, butcher and bottle store; 20 minute scenic walk to historic Mangonui pub and village. Relax in the swing seat under the Pohutakawa or put your feet up and imbibe a cold bevy in a comfy chair on the lawn. Challenge your friends to a game of petanque in the sun or lay back with a good book on the corner 'couch with a view'. The bach has all the mod-cons you need for a relaxing holiday and plenty of space inside and out for the whole family or friends. There's a selection of books, games, puzzles and DVDs on hand for your endless enjoyment. The bach is equipped with additional outdoor seats and a trestle table. It's only a short drive to many beautiful beaches, and at the bottom of the hill in Mangonui there's a boat ramp. There is also room to park a small boat on the bach section. There are several golf course in the district as well as wineries and other attractions. Everything you need for a relaxing and enjoyable holiday. Smoking allowed outside only. Maximum occupancy is eight. No additional people to stay, without the consent of the owner, other than those originally booked. No parties. The bach is rented on a self-clean basis. NOTE: Under Kiwi bach tradition guests are to clean the bach and do the dishes before leaving. You need to bring your own sheets, pillow cases, towels and tea towels. The bach has everything you need for a relaxing carefree holiday. It's a peaceful light-filled bach with glorious views and it's ever so relaxing to stay there. It's also a great base for exploring the Far North including Cape Reinga and the Bay of Islands. Light, spacious and comfortable iconic kiwi bach with all amazing view and all the mod cons you need. Bathroom has a shower over the bathtub. Plenty of comfortable couches/chairs with lots of cushions and throws. There's plenty of dishes and utensils to make your stay comfortable. A small library of fiction and non-fiction. Plenty of board games, puzzles and card games for all ages are in the bach for you to use. There are a few toys for the children. Cement area outside back door. Grass lawn outside front door. The bach is walking distance to the beach, harbour, shops and hotel. It's a ten minute walk to the top of the Rangikapiti Pa for a magnificent view over the region. Perfect location and the view’s amazing. Bach has everything you need. Had a very much needed relaxing weekend. Thank you :-) Will be back! 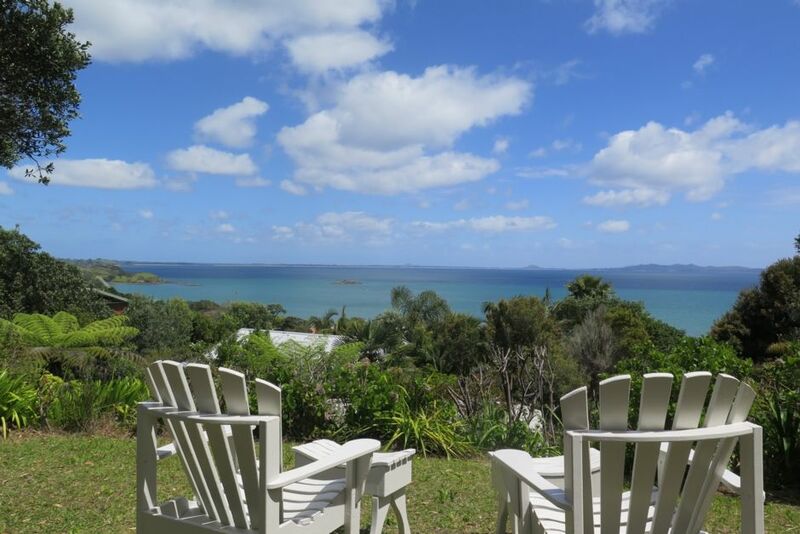 Great little Bach tucked away in a quiet location with fabulous views over Coopers Beach. Tasteful decor and a real pleasure to stay in. Everything you would need is here. Highly recommend. Thanks, so glad you enjoyed your stay. Hope you can come again! Me and my family thoroughly enjoyes our stay here. Only disappointment was being there for only one night. Looking forward to booking and staying here again. Lovely cozy iconic bach. Clean, well presented and stocked with all you need for a great stay. Awesome views and a true iconic NZ bach but even better. Clean and cozy and fully stocked with all you need for a great stay. Quiet and peaceful. I’d highly recommend to anyone wanting to visit this part of NZ. Julie was very helpful and prompt in replying. Stayed one night only but could of easily stayed longer. Julie even let us stay longer than the exit time as there was no one booked that day. Great host. Thank you Julie. Lovely in all respects. Beautifully appointed Bach gorgeous location. Lovely stay. Beautiful location with a real kiwi Bach. We would like to come again. Very enjoyable thank you. So pleased you loved it.